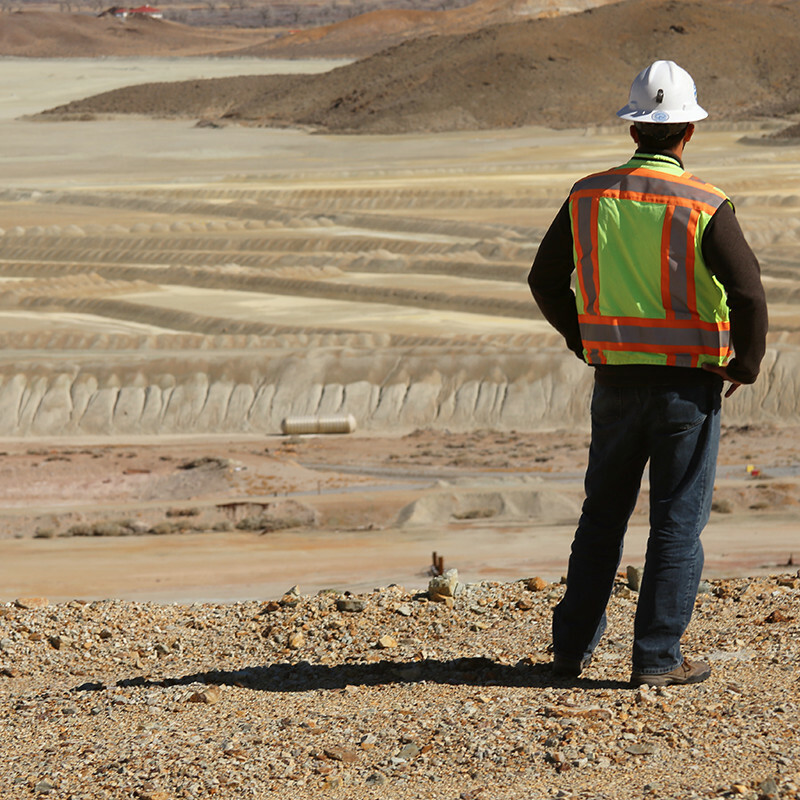 Company – Quaterra Resources Inc.
Quaterra Resources Inc. is a copper exploration company with the objective of advancing its U.S. subsidiary’s copper projects in the Yerington District, Nevada. 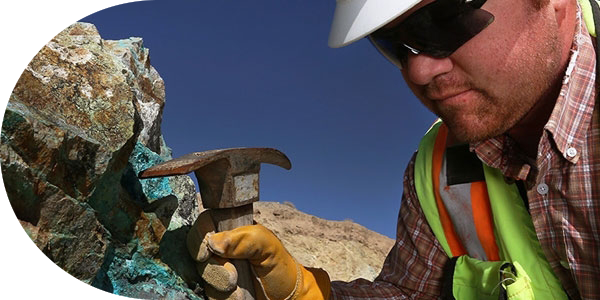 The Company also looks for opportunities to acquire copper projects on reasonable terms that have the potential to host large mineral deposits attractive to major mining companies. It has an option to earn a 90% interest in the Groundhog copper prospect, a 40,000-acre property situated on an established copper porphyry belt 200 miles southwest of Anchorage, Alaska. 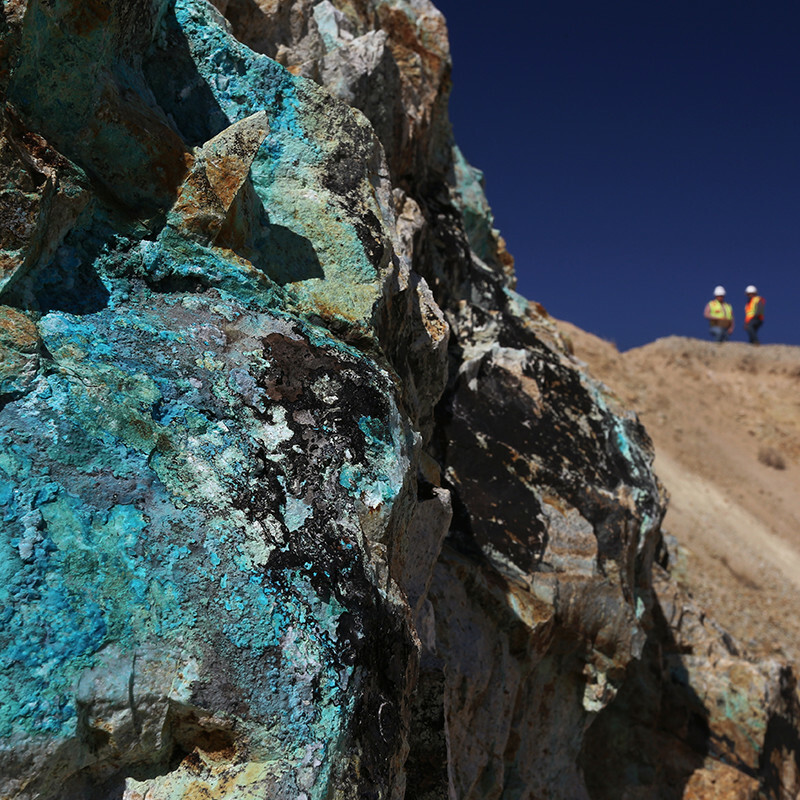 The Yerington district has become the focus of renewed copper exploration and development. It is one of the world’s top mining jurisdictions with good existing infrastructure, a history of copper production and broad-based community support for responsible mining. Quaterra’s land position contains the Bear, Yerington pit and MacArthur copper deposits, as well as untested exploration targets and valuable water rights already permitted for mining. Thomas C. Patton, B.Sc., M.Sc., Ph.D.
Dr. Patton graduated from the University of Washington in 1971 (Ph.D.) and has worked in the exploration industry for over forty years as a field geologist, consultant and executive officer of both junior and senior mining companies. His work has been primarily in North America, where he and his teams have played major roles in several significant discoveries and reserve expansions of existing operations. Before joining Quaterra on a full-time basis, Tom was President and COO of Western Silver Corporation from 1998 to May 2006. The highlights of this period were the discovery and delineation of the world-class Peñasquito silver-gold-lead-zinc deposit in Zacatecas, Mexico, and the subsequent sale of the company to Glamis Gold Ltd.
Gerald Prosalendis has been an officer or director of a number of publicly traded mining exploration and development companies. He is currently a director and President and COO of Quaterrra Resources Inc. He was the Vice President Corporate Development of Western Silver Corporation and was involved in the successful sale of that company in 2006 to Glamis Gold Ltd. He was also Vice President Corporate Development of Dia Met Minerals, a member of the team that developed the Ekati diamond mine and was involved in the sale of Dia Met to BHP Billiton in 2001. He has worked with companies to develop and implement strategic plans; identify opportunities for growth including property acquisitions, M&A activity, joint ventures and partnerships; negotiate agreements; facilitate corporate financings; and, build companies’ profiles in the investment community. Ms. Wang, CPA, CGA, has worked in the mineral resource sector for more than 20 years, and has experience in financial reporting, regulatory compliance, internal control and corporate finance activities. She is currently CFO of Pacific Ridge Exploration Ltd., and interim CFO at GoviEx Uranium Inc. Prior to coming to Canada, Ms. Wang worked at Schlumberger in Aberdeen, Scotland, and Glencore International in Beijing, China. She was corporate controller at Quaterra from 2008 to 2014. Ms. Wang holds a Bachelor of Science in Engineering from Qingdao University, China. Mr. Wilkes retired as president of Washington Group International’s Mining Business Unit. As leader of this group he participated in many developing mining projects throughout the world, including Latin America, Canada, Europe and the United States. Mr. Wilkes was the Chief Operating Officer of Santa Fe Pacific Gold Corporation during the expansion of its Nevada operations. He has been involved in the development of such projects as Greens Creek, Alaska; Stillwater, Montana; and Las Pelameres in Chile, while serving as Senior Vice President of Business Development for Anaconda Minerals. Mr. Wilkes is Chairman of a TSX listed mining development company. Mr. Wilkes is a graduate mining engineer from the Montana School of Mines. Mr. Eyton is a Chartered Accountant and currently Chief Financial Officer of Peninsula Merchant Syndications Corp. Prior to his appointment at Peninsula he was a partner with Topping Eyton Partners, a public accounting firm in Vancouver. Mr. Eyton graduated in business administration from Lakehead University in 1967, obtaining the designation of chartered accountant in 1971 and was elected to the fellowship of the Institute of Chartered Accountants of B.C. in 1983. He graduated from the Institute of Corporate Directors, Directors Education Program in 2008. John R. Kerr, BASc., P.Eng. Mr. Kerr holds a BASc degree in Geological Engineering, from the University of British Columbia (1964). Over the course of a career of more than 50 years he has been continuously engaged in mineral exploration and has extensive field experience throughout North America. Mr. Kerr has been a geological consultant since 1970 and has held senior positions with a number of public companies, both as an officer and director. He has been involved with the discovery and development of a number of significant mineral deposits, including two producing mines and two additional projects currently awaiting production decisions. The company utilizes, as required, its network of industry contacts with a proven track record in mineral discovery and development. The information contained in this website is provided solely for general knowledge purposes. This website is not intended to be a comprehensive review of all matters and developments concerning the Company and we assume no responsibility for its completeness, accuracy and currency. For current information, please refer to the Company’s filings on SEDAR (www.sedar.com) or contact the Company directly. This website is not to be construed as an offer to sell, or a solicitation of an offer to buy, securities of the Company. No securities commission has in any way passed on the merits of any of the information contained in this website. The Company’s technical disclosure in this website uses terms such as “measured resources”, “indicated resources” and “inferred resources”, which are defined by the Canadian Institute of Mining, Metallurgy and Petroleum, and required to be disclosed in accordance with Canadian National Instrument 43-101 (“NI 43-101”). The disclosure standards in the United States Securities and Exchange Commission’s (the “SEC”) Industry Guide 7 normally do not recognize information concerning these terms or other descriptions of the amount of mineralization in mineral deposits that do not constitute “reserves” by United States standards in documents filed with the SEC. Accordingly, information concerning mineral deposits set forth in this website may not be comparable with information presented by companies using only United States standards in their public disclosures. All disclosure of scientific or technical information in this website relating to Quaterra’s projects, including disclosure regarding mineral resources, has been reviewed and approved by Thomas Patton Ph.D., Chairman and CEO of the Company, and a qualified person as defined in NI 43-101. 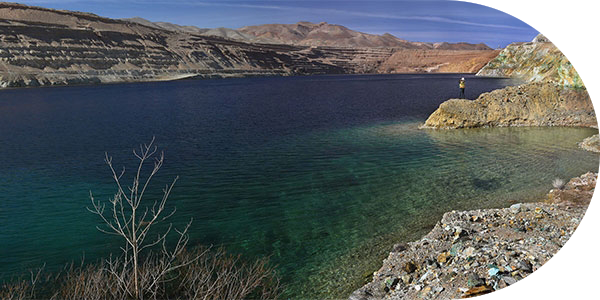 This website includes the results of the following preliminary economic assessments (the “PEAs”): (i) Amended NI 43-101 Technical Report Preliminary Economic Assessment, Lyon County, Nevada, US, effective May 23, 2012 and prepared by M3 Engineering & Technology Corporation; and (ii) Form 43-101 Technical Report, Preliminary Economic Assessment, Zacatecas, Mexico, effective October 31, 2012 and prepared Joshua Snider, P.E. The PEAs should not be considered to be a pre‐feasibility or feasibility study, as the economics and technical viability of the projects have not been demonstrated at this time. The PEA results are preliminary in nature, includes inferred mineral resources that are considered too geologically speculative at this time to have the economic considerations applied to them to be categorized as mineral reserves and there is no certainty that the production preliminary economic assessment will be realized. Mineral resources that are not mineral reserves do not have demonstrated economic viability. References are made in this website to historic mineral resource estimates. A qualified person has not done sufficient work to classify the historic estimates as current mineral resources or mineral reserves. The Company is not treating the historical estimates as current mineral resources or mineral reserves and, accordingly, they should not be relied upon. The information in this website contains “forward looking statements” and “forward looking information” (collectively, “forward looking statements”) within the meaning of applicable United States and Canadian securities legislation. Forward looking statements reflect the expectations of management and consist of statements that are not purely historical, including any statements regarding the economic prospects of the Company’s projects, the Company’s future plans or future revenues, and the timing of development, potential expansion or improvements, are forward looking statements. Often, but not always, forward looking statements can be identified by the use of the words such as “will”, “may”, “expect”, “could”, “intend”, “potential”, “aims”, “probable”, “believe”, “would”, “continue”, and “possibility” (and variations of these or similar expressions). All of the forward looking statements in this website are qualified by this cautionary note. Should one or more risks, uncertainties, contingencies or other factors materialize or should any factor or assumption prove incorrect, actual results could vary materially from those express or implied in the forward looking statement. Such risks and uncertainties include, but are not limited to, the Company’s ability to raise suﬃcient capital to fund development, changes in general economic conditions or ﬁnancial markets, changes in prices for the Company’s mineral products or increases in input costs, litigation, legislative, environmental and other judicial, regulatory, political and competitive developments in countries where the Company operates, technological and operational diﬃculties or inability to obtain permits encountered in connection with our exploration and development activities, labor relations matters, and changing foreign exchange rates, which are described more fully in the Company’s ﬁlings available on SEDAR. Readers are cautioned that forward looking statements are not guarantees of future performance and, accordingly, you should not place undue reliance on forward looking statements. Any forward looking statements made by us in this website are based only on information currently available to us and speaks only as of the date on which it is made. The Company does not undertake to update any forward looking statement after the date of this website or to explain any material difference between subsequent actual events and any forward looking statement, except as required by applicable law.